Marci lost her 20-year-old brother. Julie lost her 42-year-old husband. Bonnie lost her 16-year-old son. They all have three things in common: losing a loved one to suicide, facing a rollercoaster of overwhelming emotions, and embarking on a heartfelt journey seeking understanding, healing and hope. 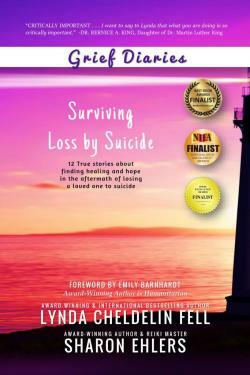 Part of the award-winning Grief Diaries series, Surviving Loss by Suicide shares the poignant stories of people who have all lost someone they love. Covering tender issues such as surviving the funeral and transition, navigating the holidays, handling sensitive questions and more, Surviving Loss by Suicide is a wonderful source of comfort for all who share the journey, and offers a treasured reminder that none of us walk this journey alone. See all books in the award-winning series at GriefDiaries.com.